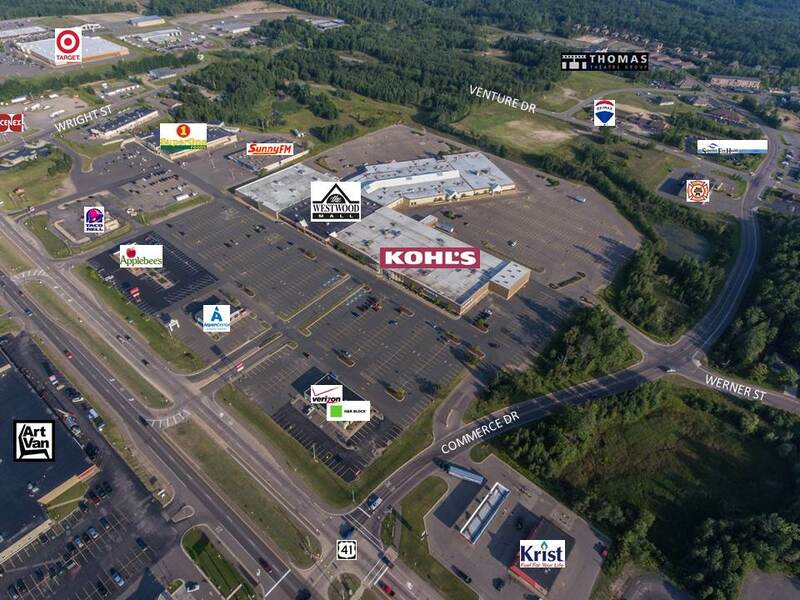 HOPE FOR THE sleepy, shrinking Westwood Mall? Maybe, according to Township planner and zoning administrator Jason McCarthy. “We feel we have the resources to create something new and exciting there,” he says. Details? No, he can’t divulge anything publicly at this point, but there have been discussions and there is movement to redevelop that 31 acre property (McCarthy’s drone photo above). The mall has been on a slow, downward slide for the last several years, and now it’s more than 60% vacant, despite the best efforts of mall manager Ellen Sargent. Yet it’s a valuable property–32,000 cars pass it every day. Its neighbors on the highway include relatively new and prosperous box stores while the mall has just sat there, a relic of the past, ignored by most shoppers except around the holiday season. The words of planner McCarthy again, speaking about the recent closure of the KBIC gas station and convenience store in the Township. 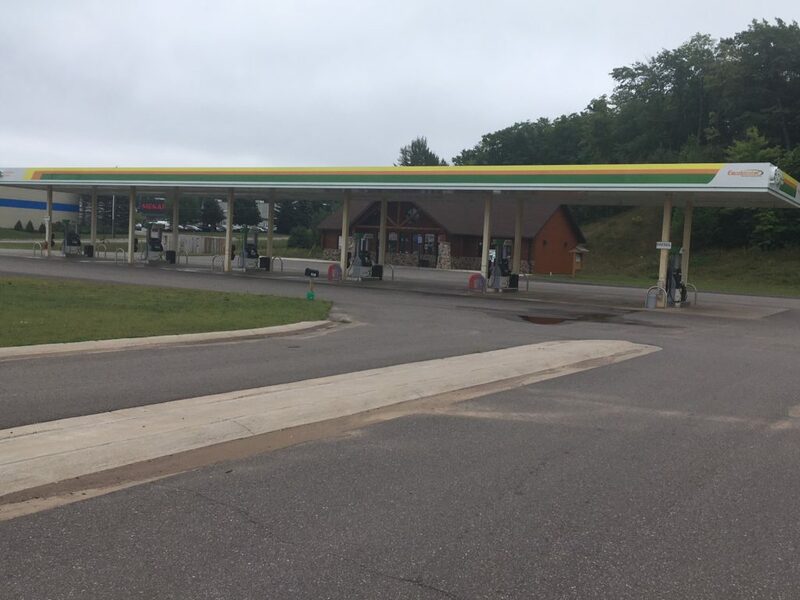 It had been open for the less than four years, it was an attractive, spacious property, and it was the only gas station for miles on the south side of the highway…and yet, apparently it wasn’t all that busy. What’s going in there next? Unknown. 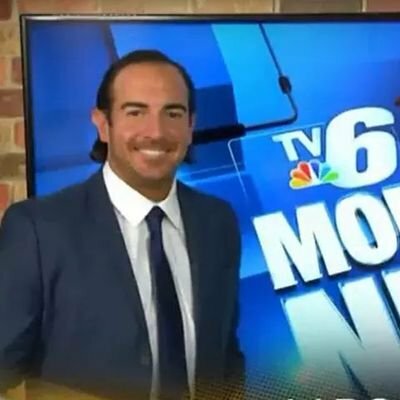 SO WHAT’S THE latest with the recycling of glass in Marquette? It’s status remains “in limbo,” according to city manager Mike Angeli. Quick background: We recently discovered that the glass containers we thought we were recycling have actually been dumped into the Marquette County landfill for the last several years. There’s no market for recycled glass in the U.P., and there’s a limited one for it in Chicago and Milwaukee, but that means we’d have to transport it down there, maybe adding $1-2 dollars a month to each customer’s bill. But then there’s an additional problem, according to Angeli. 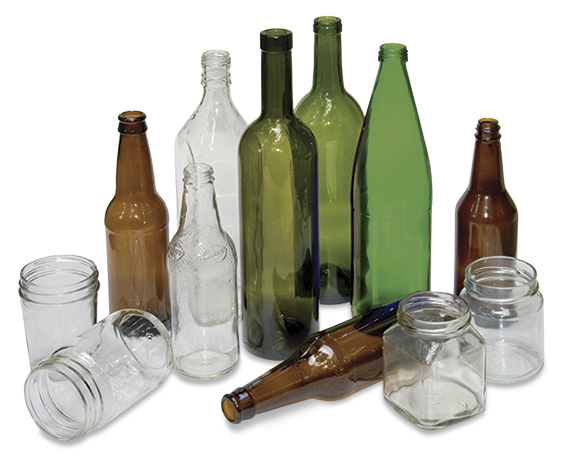 Those recycling facilities want only clean and dry glass containers, and ours are frequently dirty. So those facilities might just cut us off and tell us to haul our garbage back home. Three apparent options for us at this time: 1) Continue dumping glass in the landfill 2) Pay more on our utility bills while cleaning up our glass garbage and hoping that the facilities down south will take it, or 3) Develop our own glass recycling facility. That’d make the most sense but it would also be costly, likely requiring financial help from the state. AN ABRUPT CHANGE on the TV6 Morning News. Aaron Carotta, aka Adventure Aaron, is no more. The morning reporter who had gained a following for his live, remote reports, announced last week that he was leaving after only six months. It was an interesting hire, to say the least. Carotta was a seasoned veteran in the business, someone who had travelled the world and produced syndicated shows, and yet here he was in one of the smallest TV markets in the nation. And likely not making a bundle of money for his efforts. The search for his successor is underway. Anybody wanna get up at three in the morning, five days a week, and go stand out in the snow in the middle of winter? 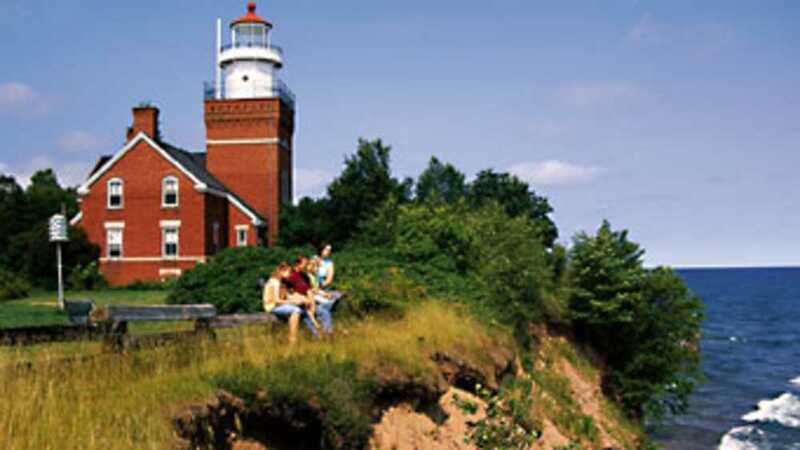 THE BIG BAY Lighthouse is shining brighter these days. A new owner, Nick Korstad, has taken over and he’s giving a makeover to the bed-and-breakfast inn. Cleaning up the overgrown grounds, and in the months ahead, renovating the seven guest rooms. This is the fifth lighthouse that Korstad has bought and he still owns three of them. The B&B has been busy this summer. Mostly sold out since late June. The color season will provide another boost. At this point, Korstad is thinking of remaining open during the winter while he continues with the interior renovations. ONE OF MARQUETTE’S best known financial planners has become an author. 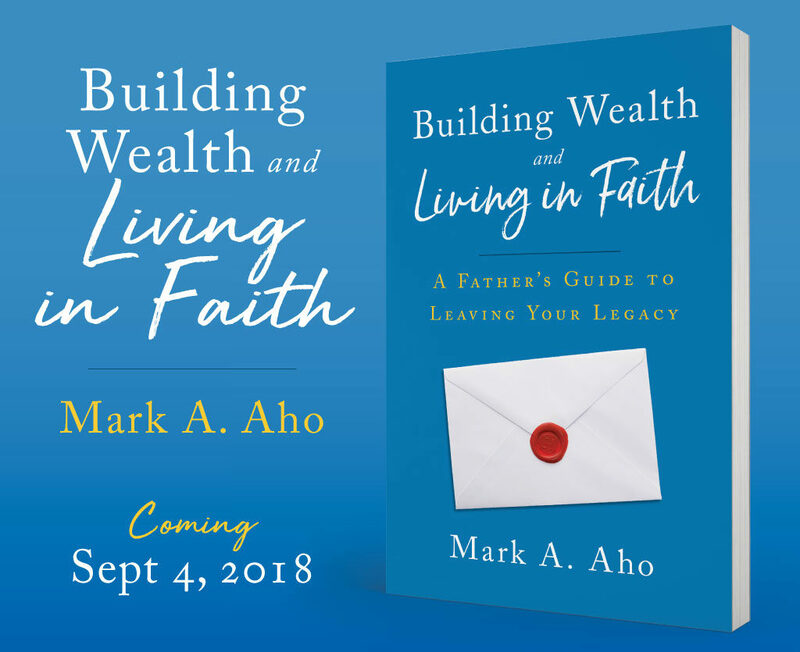 Mark Aho’s book, Building Wealth and Living in Faith, is coming out in a few days. Available on Amazon and on Kindle, and soon, he hopes, at local stores. An interesting combination–money and religious faith. “Building wealth is good if you do it with integrity and for good purposes,” he explains. No, this isn’t about making tons of money and acquiring all the shiny trappings of wealth. Instead, it’s about working hard, saving and investing intelligently, and taking care of your family while strengthening your religious faith. 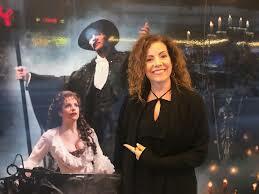 His firm brought longtime Broadway stars Sandra Joseph and Ron Bohmer (Phantom of the Opera) to the Boathouse Theatre last night. They’re husband and wife. The 200 or so people who squeezed into the theater were given a treat they’ll not soon forget. Joseph gives a charming, animated speech about her life’s challenges and triumphs. Not at all heavy-handed, and the message–take a chance, don’t give into fear, just be yourself–resonates with all of us. But then, the singing. Whoa. Takes your breath away. A highlight for the summer. Thanks to Aho for underwriting the performance. And thanks to Peggy and Pete Frazier for again making their Boathouse Theatre a center for the arts in Marquette. JOE AND TIFFANY Ampe of Marquette are parents to eight children, with another on the way. Talk about commitment to family. So what do they do as they prepare for their ninth biological child? 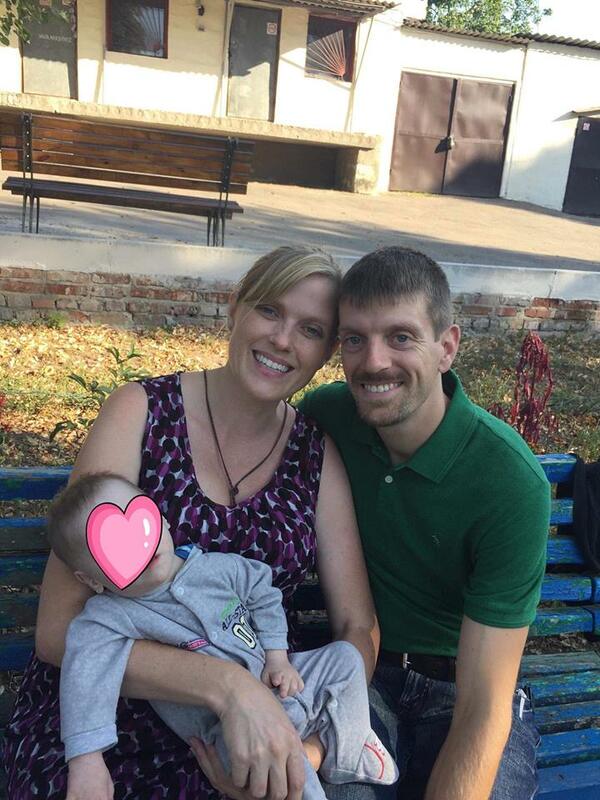 Oh, they go to Ukraine to adopt a baby with Down Syndrome. And while they’re there, they make arrangements to adopt yet another child, also with Down Syndrome. They’re still in Ukraine but expect to return soon to their new and expanded family. They’re hoping to defray some of the costs of the adoptions with a raffle on their Facebook site. Most of us who’ve raised one or two children think they’re a handful. Try eleven. it wears you out just thinking about it.